Just Jingle: Happy FREAKING Birthday! 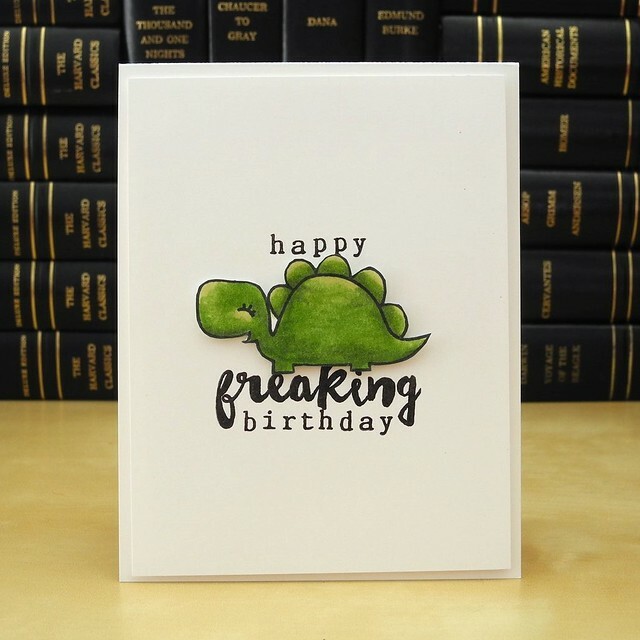 Naturally, I made him a fun card, and naturally, I used a dinosaur on it. HAHAHAHA! No, but for reals... he can totally take it. LOL! Seriously. 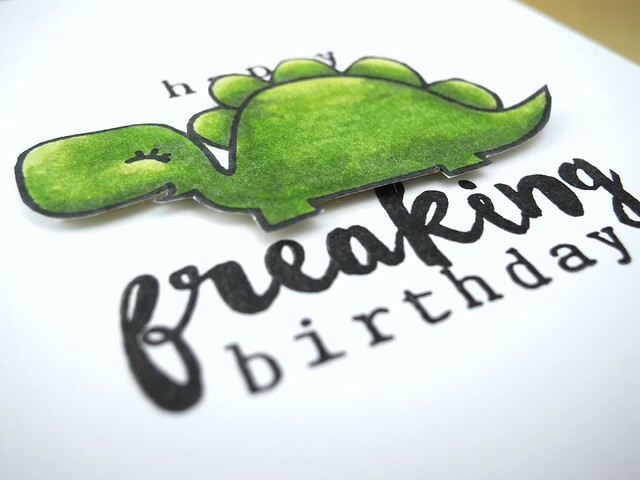 That Paper Smooches dinosaur is one of my favorite stamps. I just LOVE HIM!!! I combine him with some AWESOME snarky sentiment stamps from Paper Issues. He is colored with Spectrum Noir markers and he makes me smile. Lots. I am also entering this card in the Paper Smooches Sparks Anything Goes Challenge! Hi Jingle! Your card is super cute! Love it! Lol! This card is just too cute and I love the sentiment! So fun! Love the coloring on the dino image. Thanks for joining us at Paper Smooches SPARKS!